A Hawaiian waitress, 21 year old Cayla Chandara who waits tables at two different restaurants, pulling double shifts just to make ends meet, got the gift of a lifetime from a very generous couple. 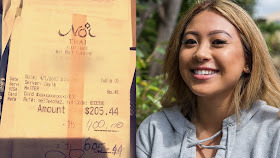 While working last week, at the Noi Thai Cuisine, she struck a conversation with a couple from Australia who asked her why she moved to Hawaii. 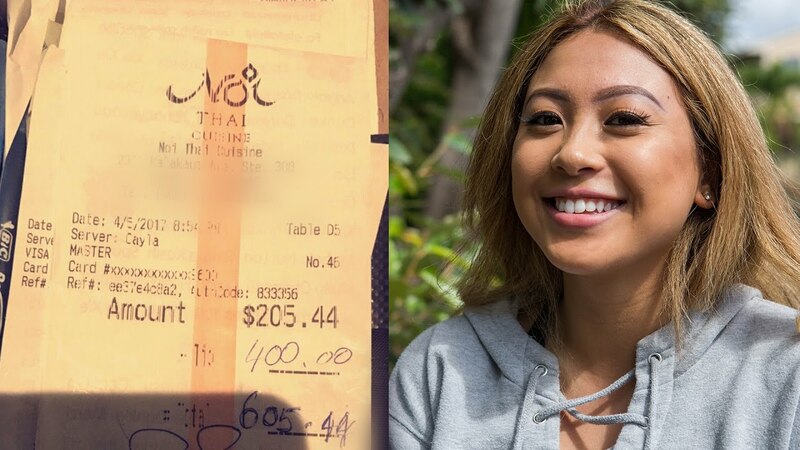 She told them she moved to Waikiki, Hawaii, from Santa Rosa, California, for College, telling them how she was working two jobs; one at the Waikiki hotspot Noi Thai Cuisine, and the other at the Cheesecake Factory. She told them that she had dropped out of college due to heavy student loans and the high cost of living in the state, adding that she was hoping to save up enough money so she could return to school one day. The waitress thought the customers were just being polite by asking her questions. 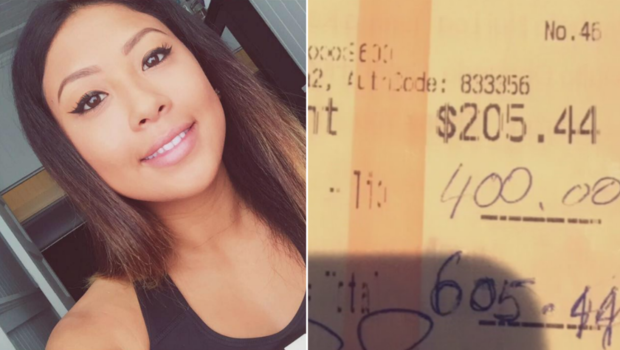 But as she cleared their table and collected their $200 tab at the end of the night, she got the shock of her life. 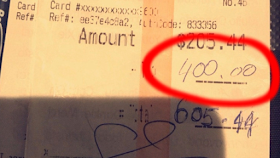 They had left her a tip of $400 which was double their bill. Chandara recalled where the couple said they were staying, and decided she would go by there after her shift to thank them properly. She left it at the hotel’s front desk and left, never expecting to see the tourists again. The next night, the couple returned to the restaurant. and told Chandara they would like to give her $10,000 to pay off her student loans and to contribute to her continuing her college education. Chandara was at a loss for words. “I was like, ‘No way, you don’t have to do that for me. I just wanted to say thank you,'” Chandara said. Chandara told the generous tourists, who wish to remain anonymous, that she will go back to school in the fall to study Liberal Arts and Business. She asked how she could ever repay them.